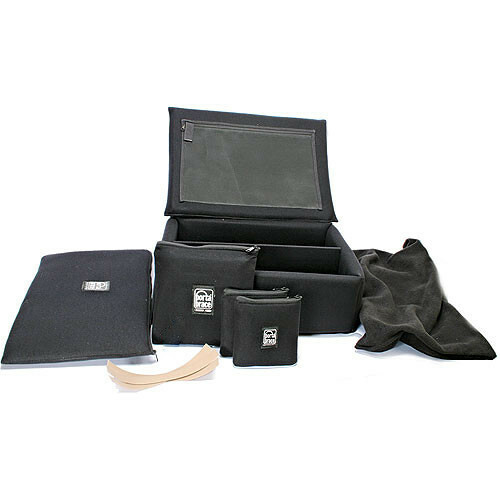 The PB-2750DKO Hard Case Divider Kit Only from Porta Brace is a stand-alone divider kit made up of 1.0" Veltex foam covering, zipper pouch, divider walls, fleece bag and two Porta Brace padded pouches. It is an accessory for Porta Brace PB-2750 series cases and a replacement for the PB-2750DK case. Box Dimensions (LxWxH) 23.0 x 19.5 x 10.0"
PB-2750DKO Hard Case Divider Kit Only is rated 3.7 out of 5 by 3. Rated 5 out of 5 by Lecky from Great room saver I bought this to divide the 2750 case instead of using the foam. I can put 2 Canon xf300s in the case with plenty of room for batteries, cards microphones, etc. Using the foam is very limiting. The cameras and accessories stay in place and if configured properly the equipment doesn't shift. The only negative is the dividers only have velcro on 3 sides which limits how you can use them.